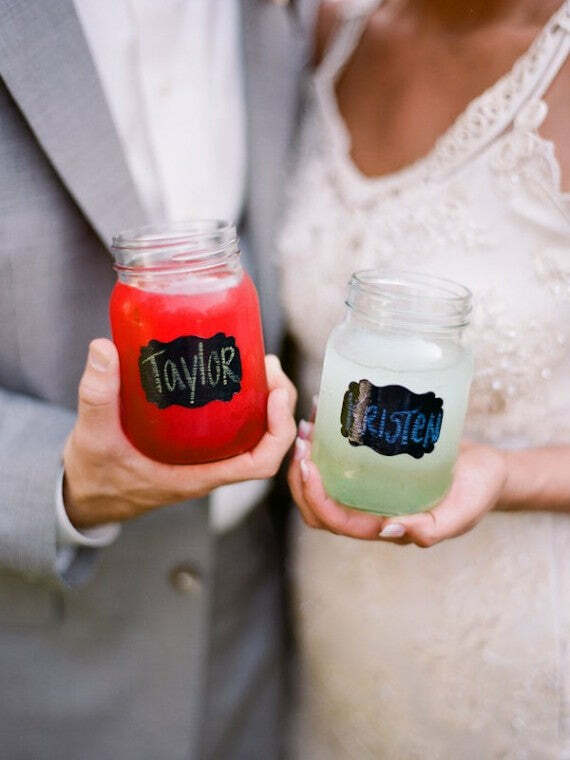 We love the idea of using glass jars as wedding cocktail tumblers. It's economical – you pay nothing, you just ask your mates to collect them – and very environmentally friendly, because of course you'll recycle them after the wedding! 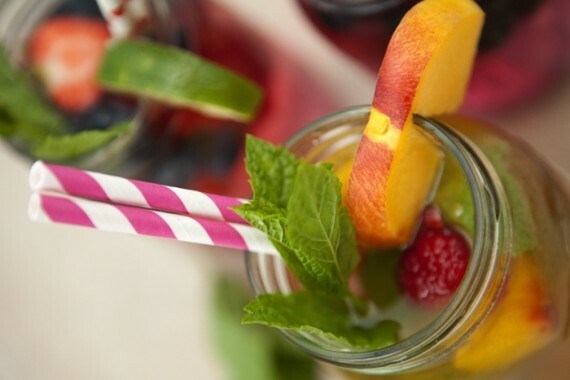 But most important of all, they look quirky, fun and unpretentious – especially teamed with our wonderful Patterned Paper Straws. Go for a single unifying theme of hearts or red stripes, or mix and match in chaotic abundance. 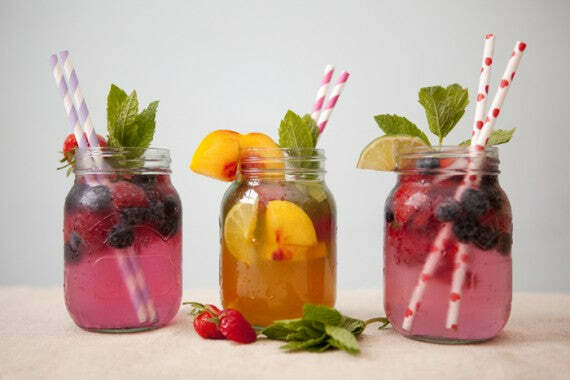 We love the idea, too, of creating your own special wedding cocktail, created to your tastes and named after where you first met, your honeymoon destination or Your Song! Pour the vodka, cranberry juice, pineapple juice, amaretto, and creme de cacao into a cocktail shaker over ice. Cover, and shake until the outside of the shaker has frosted. Pour and sip delightedly!